Any science museum with a tall enough building loves to have one: A Foucault’s Pendulum. Usually set up around stairs or some other area where a cable can be hung from the roof to the bottom floor where a large weight is held. These pendulums swing back and forth (usually given a push by technicians in the morning) knocking over pegs as the day rolls by. But what about a smaller science museum? What about a college, University or even a high school? How can they set up some kind of Foucault’s Pendulum without some sort of huge building or drilling unwanted holes into the lecture hall floors? Scaled down versions with small weights don’t keep up the motion long enough – but with with a motorized system they can work. Standing 57″ high and 16″ wide this Foucault’s Pendulum Device is perfect as a display or experimental equipment. It can sit in a lobby or in the classroom and operate over as a permanent display piece. The Cavendish Gravitational Balance is part of the advanced physics products offered by Spectrum Scientifics. Built by United Scientific, these advanced physics devices are built on demand and are excellent for University or Advanced High School physics classes. The Cavendish Gravitational Balance is used to help students and teachers measure the Universal Gravitational Constant, also known as “‘G”. “G” as some of you may remember is rather small since gravity is a very weak force. The exact measurement is 6.67384 × 10-11 m3 kg-1 s-2. This has been accurately determined by a couple of centuries of experimentation and math. The Cavendish Gravitational Balance will allow students to measure ‘G’ to within 15% accuracy. 1) Although Galileo is often credited with inventing the telescope, he did not do so. Proper credit may go to one or more of several lens grinders in the Netherlands for the invention. The first telescopes were used to spot ships coming into harbor and adjust local market prices accordingly. Galileo is credited with improving the design and actually pointing the telescope skyward – and writing about what he saw. Someone might have pointed a telescope at the sky before Galileo but they didn’t say much about it. 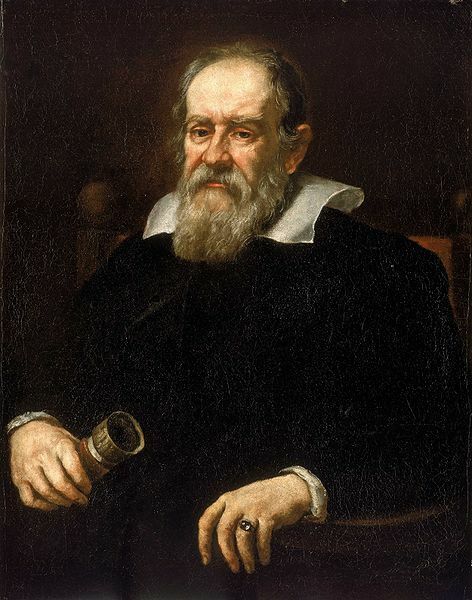 2) Despite Galileo’s improvements his telescope design, known as the Galilean Refractor, is barely used today due it having some major optical limitations. A Galilean Refractor uses a positive (magnifying) lens as the objective and a negative (reducing) lens as the eyepiece. Today most refracting telescopes resemble the Keplerian Refractor, which uses two positive lenses. 3) Telescopes that used mirrors are known as Reflector telescopes. The design used today is known as a Newtonian Reflector, invented by Issac Newton. You just weren’t anybody in science in the 17th century unless you invented a telescope design. 4) Despite what you might see in astronomy photos most deep sky objects in your telescope will be gray or whitish in color. This is actually the color of those nebulea – if you were to travel to one of them you would not see swirling colors, but rather more of a misty monochrome color. The color in the photos comes from long exposure that brings out the colors that are washed out by the white light. 5) There are limits to how large you can make a telescope. With refractors your lens has the problem where it acts like a prism and breaks up the light into component colors, so making the lens too wide means it must be too thick to be usable. With reflectors, the problems don’t kick in until the telescope is much larger and odd things happen like gravity distorting the curvature of the mirror! To build larger telescopes optical engineers are employing multiple mirrors to act in the place of a single mirror. 6) The magnification you get with a telescope depends on both the focal length of the objective lens/mirror and the focal length of the eyepiece. The formula is objective f.l. / eyepiece f.l. This means that longer telescope tubes can produce higher magnifications that shorter ones – but don’t always use that as a benchmark! Some telescopes, like Maksutov-Cassegrains can pack the equivalent of a 1.5 meter objective in a tube not even 12″ long! 7) But remember! Magnification isn’t everything! In fact it is secondary to the aperture of your telescope (how wide the lens or mirror is). 8) Refractors and Relectors start out with similar prices in the low-end of telescopes, but as they get larger refractors shoot up in price much faster. This is because of how a lens must be made. You have to grind it (both sides), polish it (so you can see through it) and coat it (in a vacuum chamber, both sides). Keep in mind that every refractor made these days will have two lenses in its objective. So that’s four sides to grind & polish. Also, few lens grinding machines just are big enough to grind lenses larger than 3-4″, so only a handful of larger telescopes get made. By comparison, a mirror for a reflector telescope needs only one side of one big piece of glass to be ground and then coated (again, in a vacuum chamber but only one side). To put it in perspective, many amateur astronomers have ground their own mirrors for telescopes – by hand. I know of very few who have ground their own lenses for larger refractor telescopes. 9) An question often asked about a particular telescope is ‘how far can it see’. This isn’t a relevant question because while even a small telescope can see the Andromeda Galaxy (2.5 million light years away), while the Hubble Space Telescope struggles to get an image of Pluto (which resides within our own solar system) that is anything other than a blob. A better question is ‘what can you see with this telescope’. 10) What kills most telescopes in the long run? Its either neglect or overcare. With former, telescopes get left out in the elements, stuffed into humid garages, stored without their small but critical parts, stored with heavy stuff on top of them, or used as coatracks. On the latter end, many a telescope has had its mirror or lens cleaned too many times by overzealous owners who react to any spec of dust on the mirror with a spray of windex (which is bad for lenses and mirrors) and tissue (also bad for lenses and mirrors – remember that paper is made of WOOD). Yeah. I’m being lazy. Don’t care. DANCING PENGUIN CHORUS LINE! 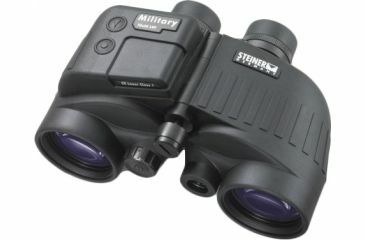 ‘Military Spec’ Binoculars? Maybe yes, maybe no!